This entry was posted in Commuting in pictures and tagged Christmas tree, Commuting, station, Waterloo on December 28, 2014 by Lyn Whitfield. I wanted to capture the famous station in war and peace image; but there’s too much commercial clutter. This is as close as it’s possible to get. 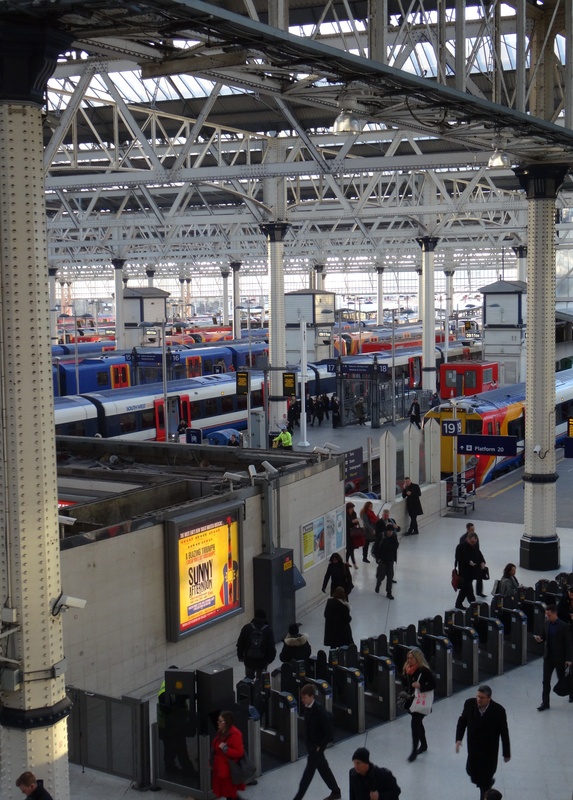 This entry was posted in Commuting in pictures and tagged Commuting, London, signal boxes, station, Waterloo on December 28, 2014 by Lyn Whitfield. 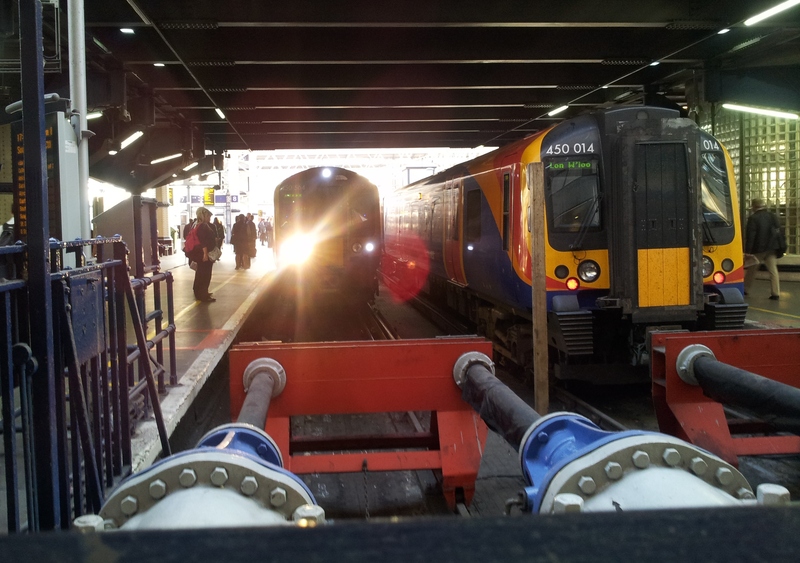 This entry was posted in Commuting in pictures and tagged buffers, Commuting, London, station, trains, Waterloo on October 3, 2014 by Lyn Whitfield. 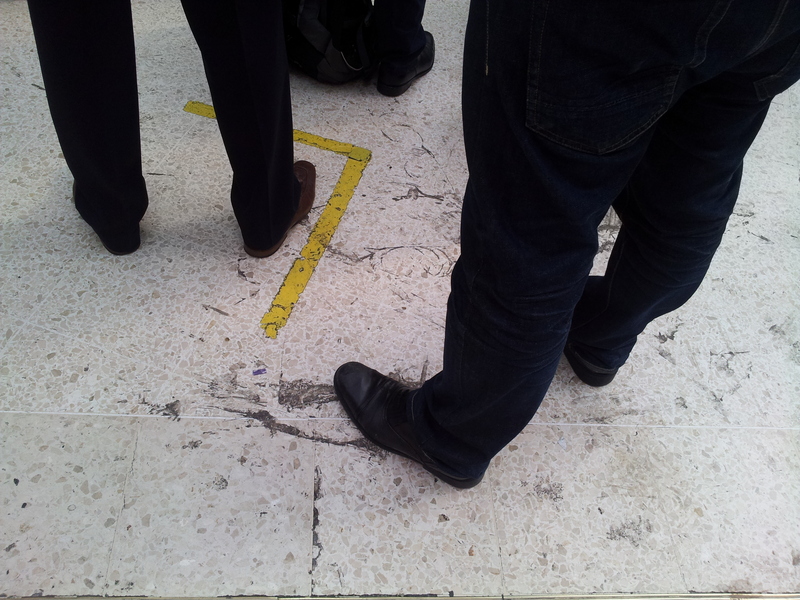 This entry was posted in Commuting in pictures and tagged Commuting, delays, South West Trains, Waterloo on July 22, 2014 by Lyn Whitfield. 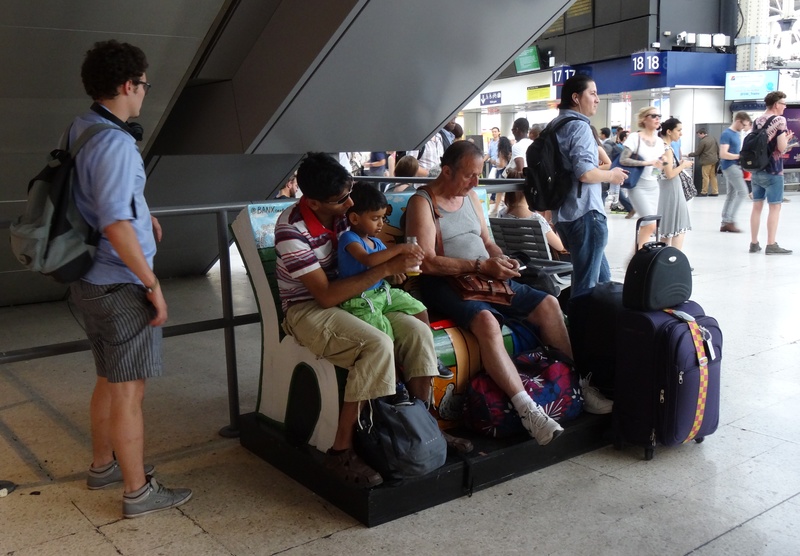 This entry was posted in Commuting in pictures and tagged book bench, hot July, travel, Waterloo on July 19, 2014 by Lyn Whitfield. 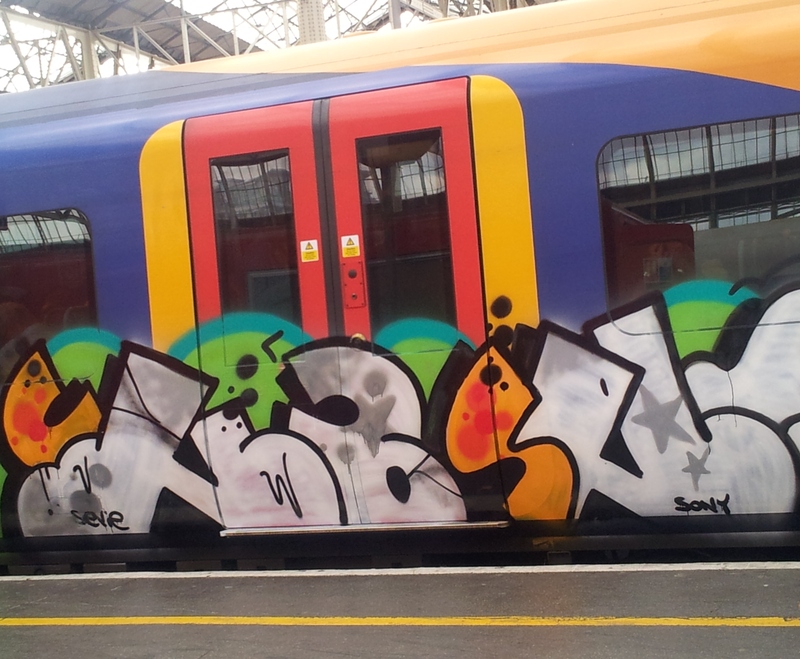 This entry was posted in Commuting in pictures and tagged commuting in pictures, graffiti, South West Trains, Waterloo on July 8, 2014 by Lyn Whitfield. 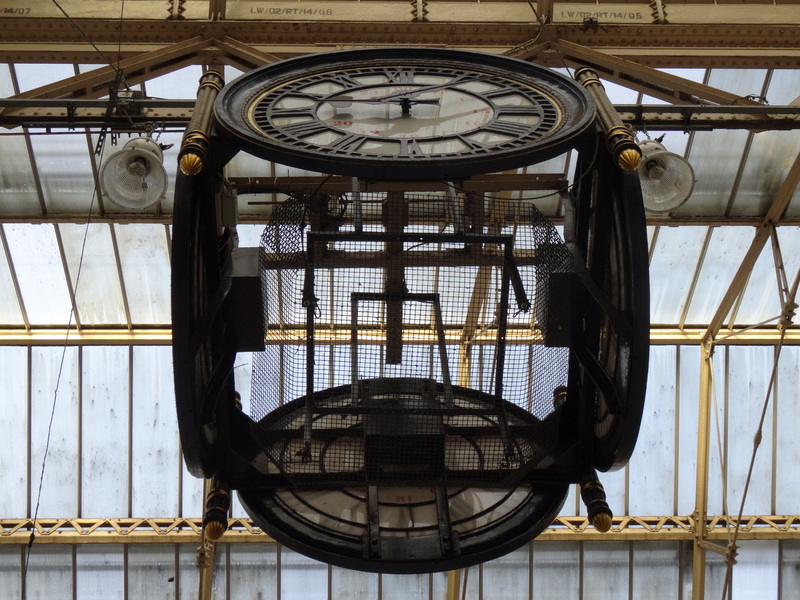 This entry was posted in Commuting in pictures and tagged clock, Commuting 2014, London, Waterloo on January 8, 2014 by Lyn Whitfield.